Balanced good looks, best describes this equally-divided stainless steel gem made right here in the USA. Its wide, radius corners are smooth and easy to clean; and it's designed to be mounted under the countertop. This model is 300-series, cold rolled steel, at the industry standard 18-gauge thickness. The surface is given a brushed-satin finish which adds to its luster and masks minor scratches which could occur over time. Dense, sound-dampening pads are applied to the underside. With an overall measurement of 31 3/4" x 18 1/4" x 7 5/8", it will require a minimum-width cabinet of 33". 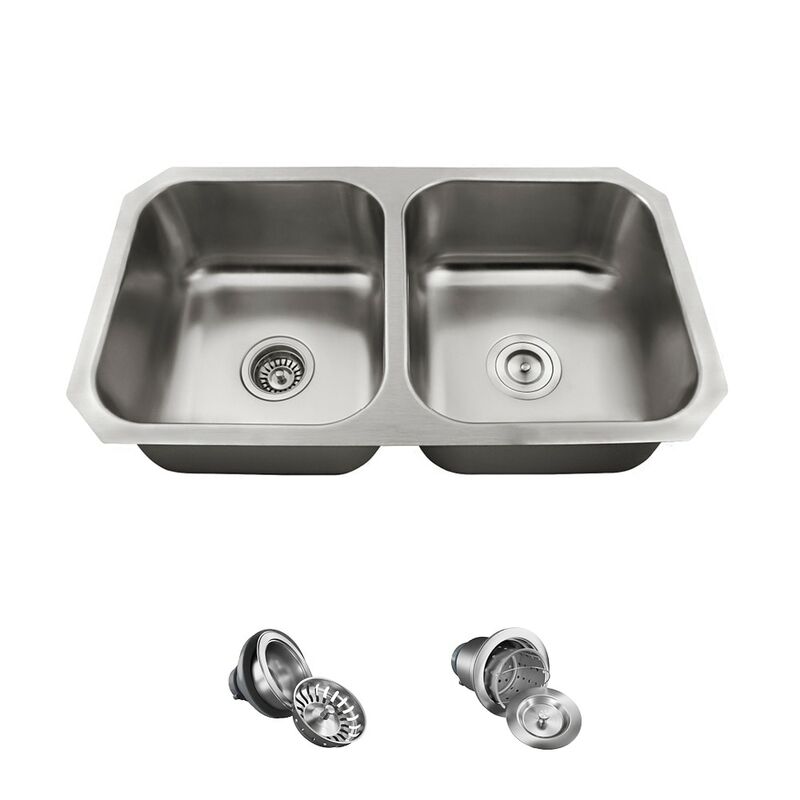 Included is one standard strainer - a solid traditional choice with a shallow removable receptacle; and one basket strainer - a deep, perforated, handled, metal basket designed to hold considerably more waste.